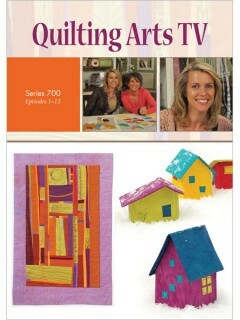 Shop under construction, but I can still ship this to you, just contact me and I’ll send you a PayPal Invoice! 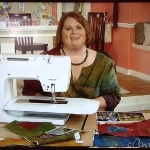 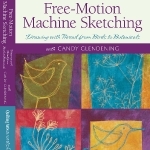 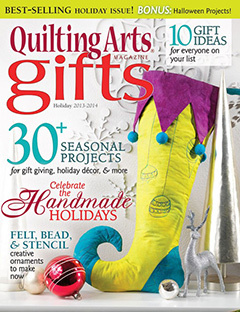 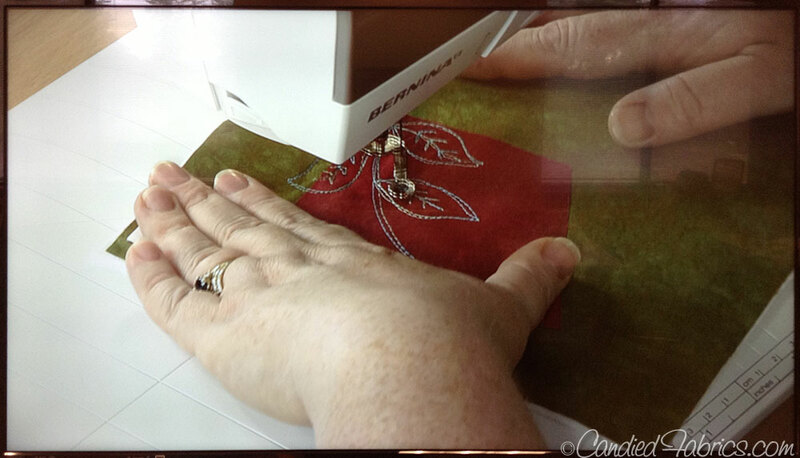 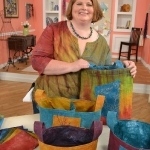 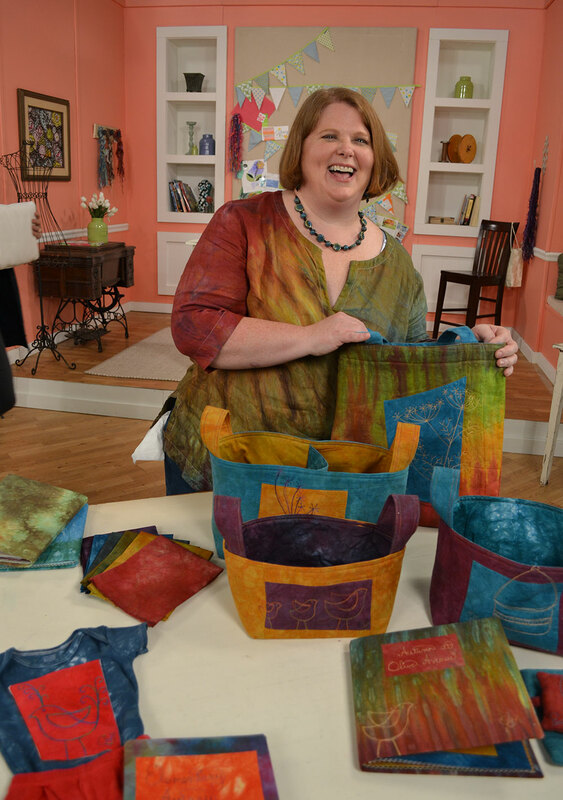 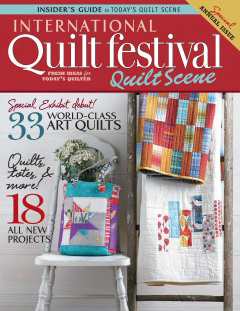 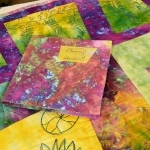 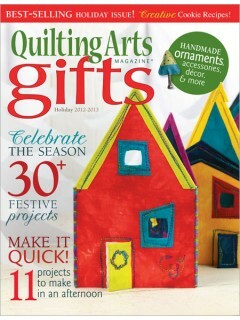 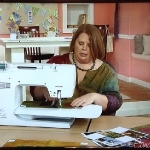 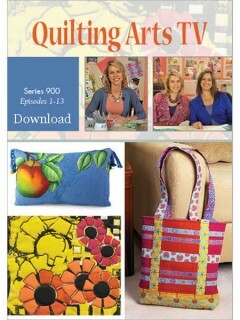 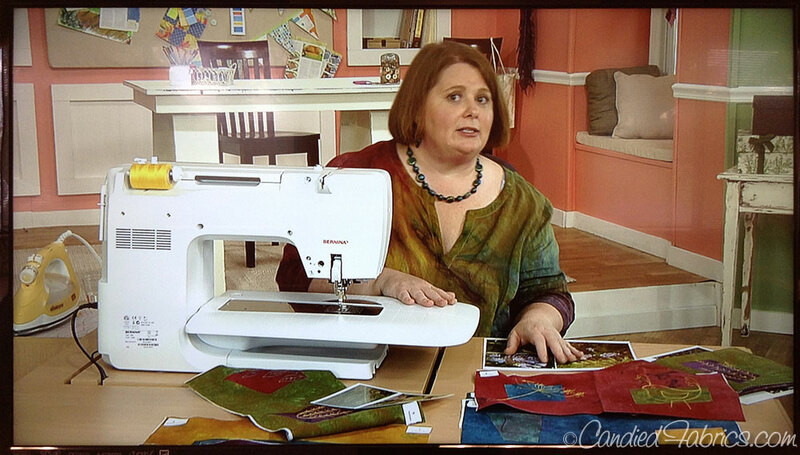 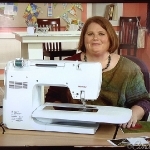 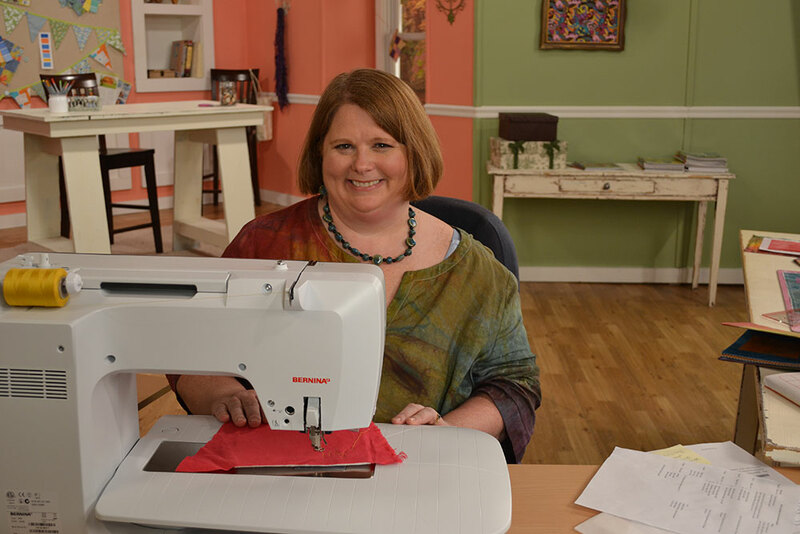 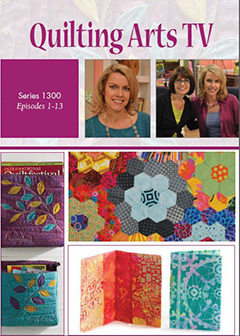 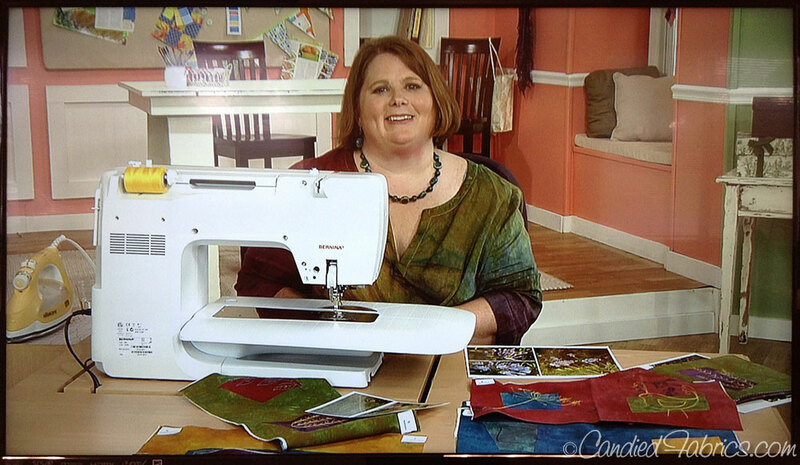 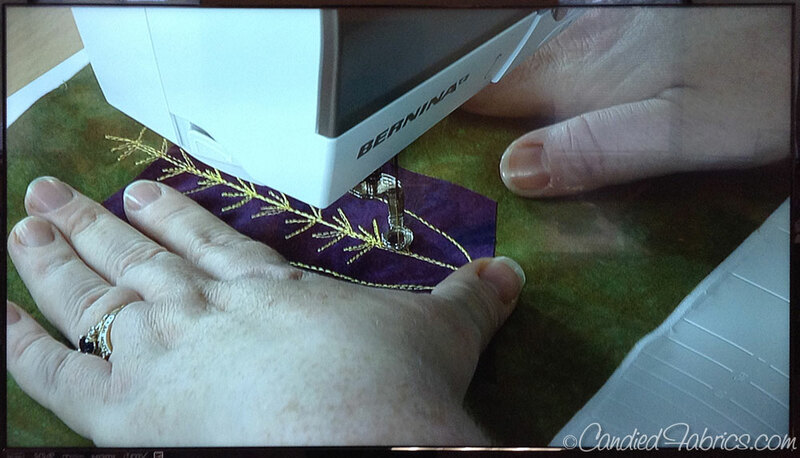 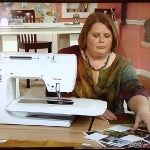 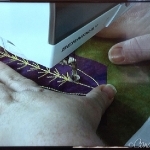 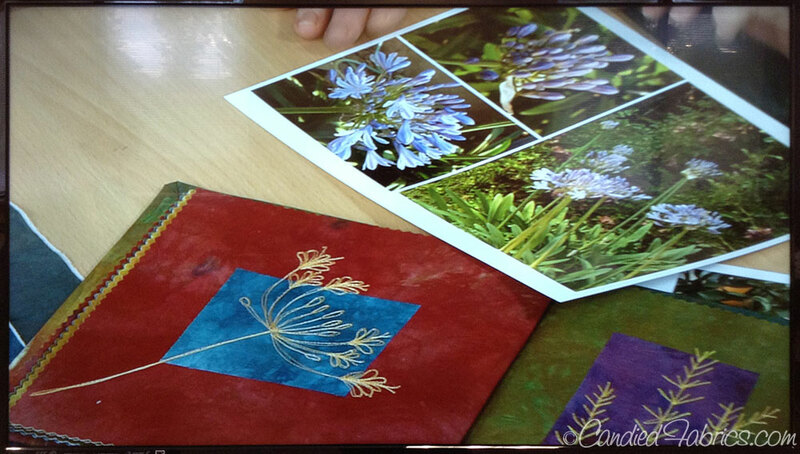 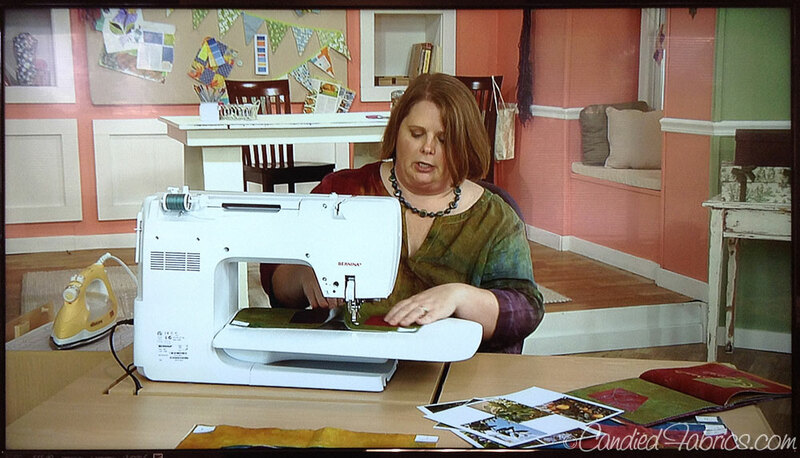 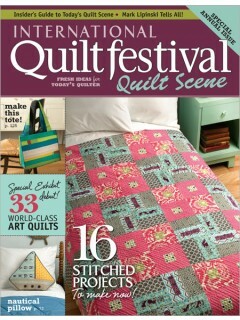 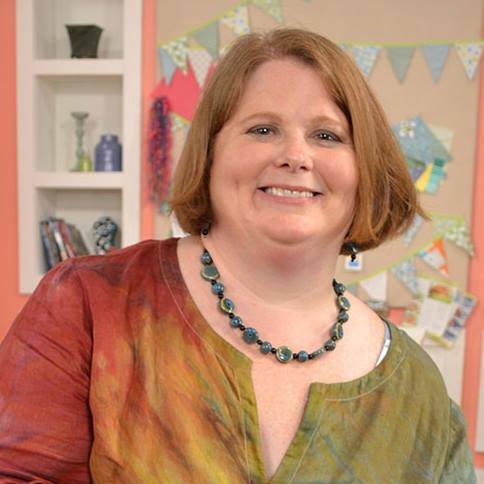 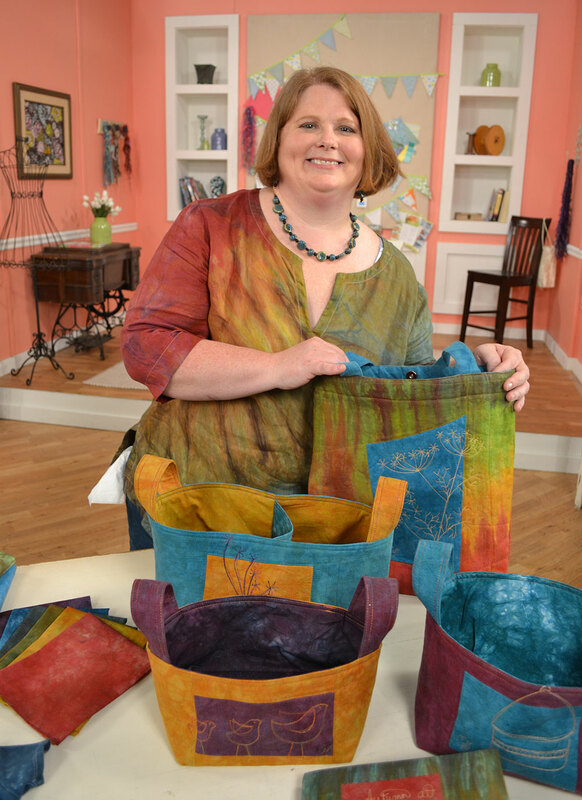 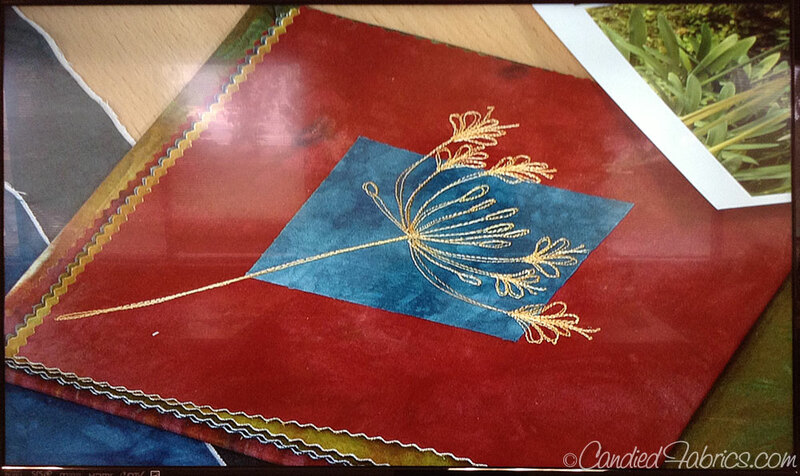 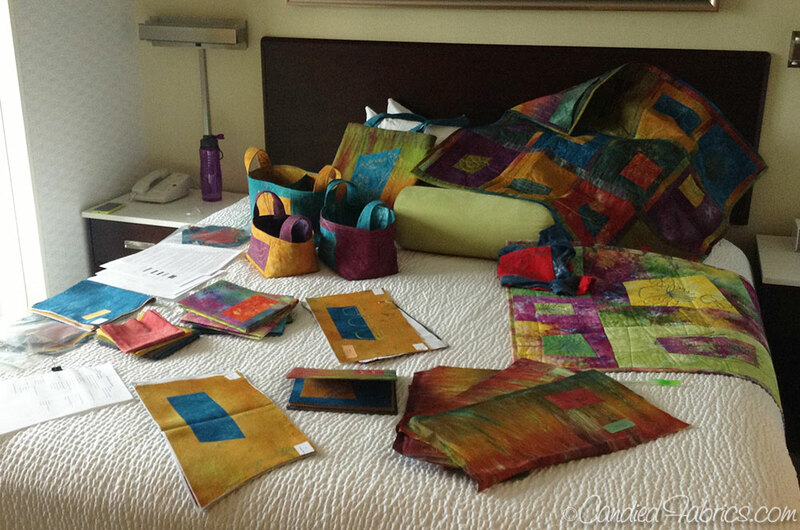 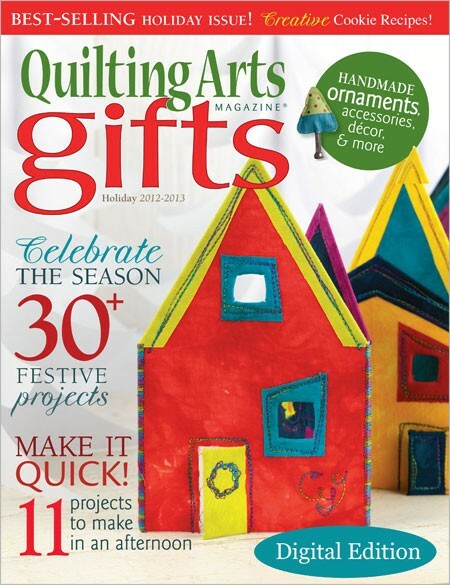 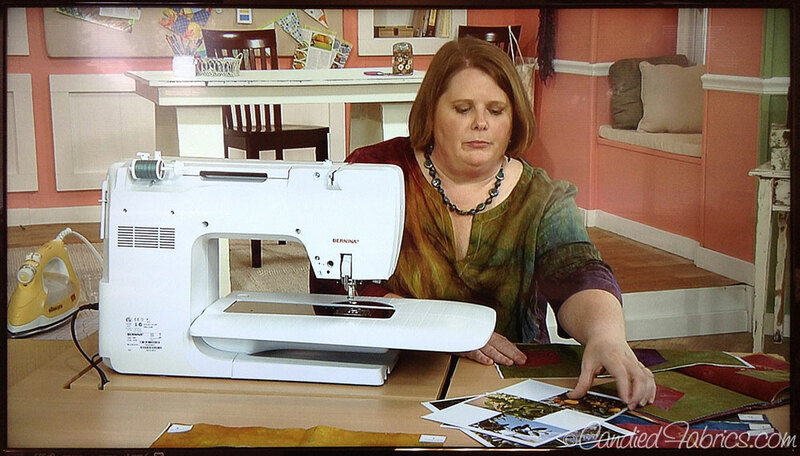 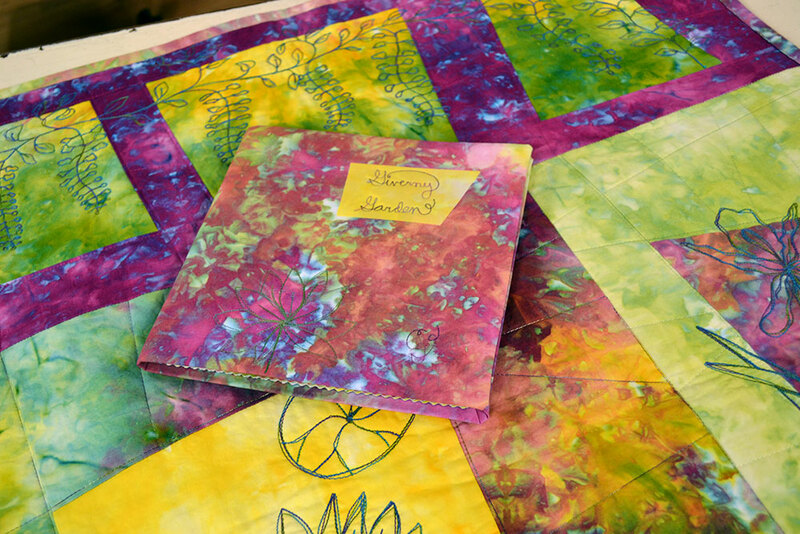 “Free-Motion Machine Sketching” is a 74 minute DVD, filmed on the set of Quilting Arts TV. 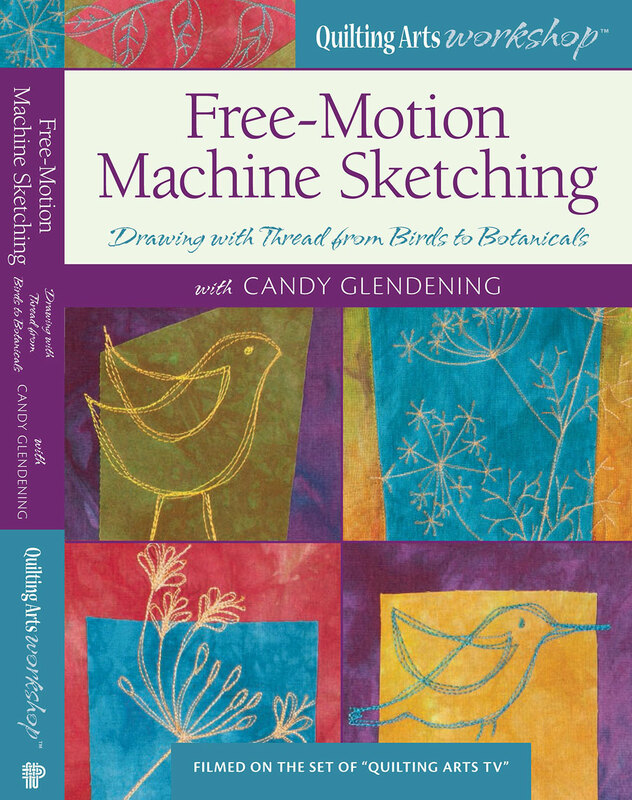 In it, I teach you how to Free-Motion Machine Sketch lots of my favorite motifs, show you how I came up with those motifs so that you can design your own, and show you how to create fabric sketchbooks to try out new color palettes and record your early free-motion machine sketches! Free-motion machine sketching is a combination of thread sketching and machine quilting that results in charming drawings and motifs on fabric. 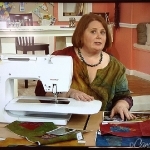 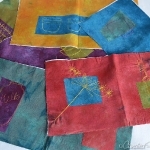 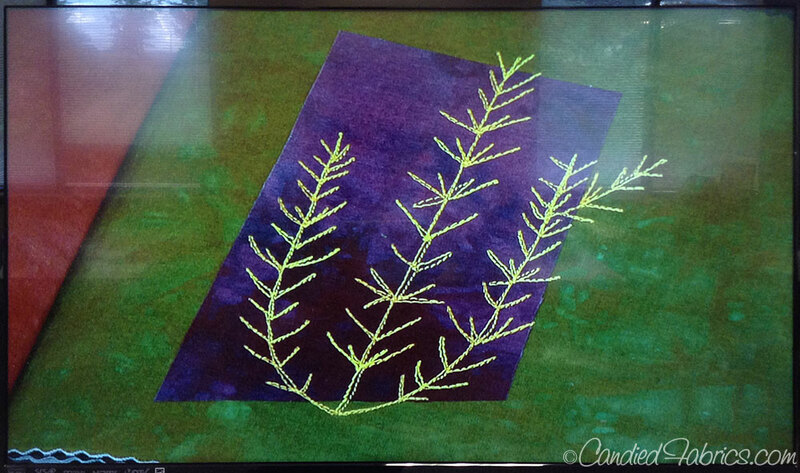 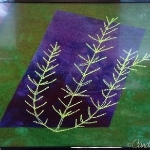 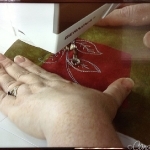 I developed this technique after much experimentation, and have taught many quilters how to look at their sewing machine as a tool for drawing and sketching. 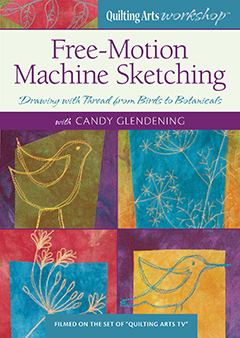 The workshop begins by reviewing the inspiration behind my sketches—everything from birds, to ceramic bowls, to plants—and then I illustrate how free-motion machine sketching can capture the essence of the subject in thread. 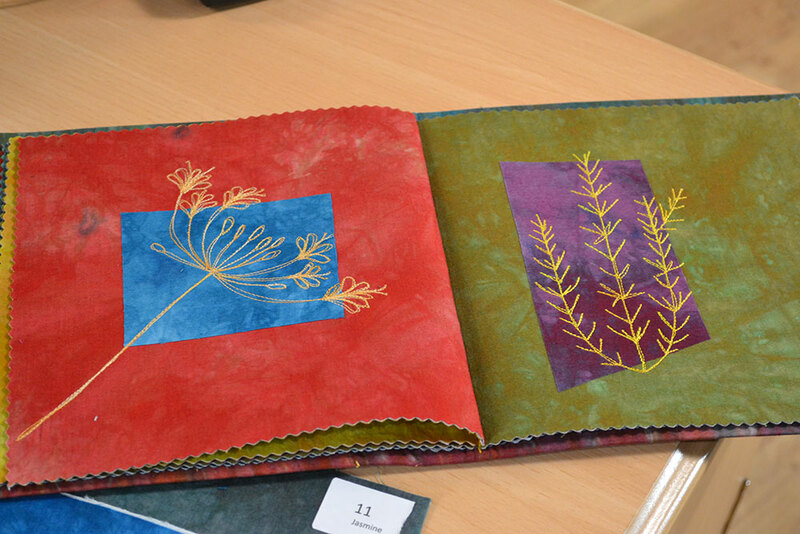 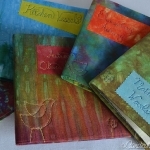 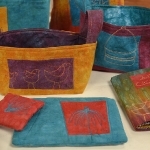 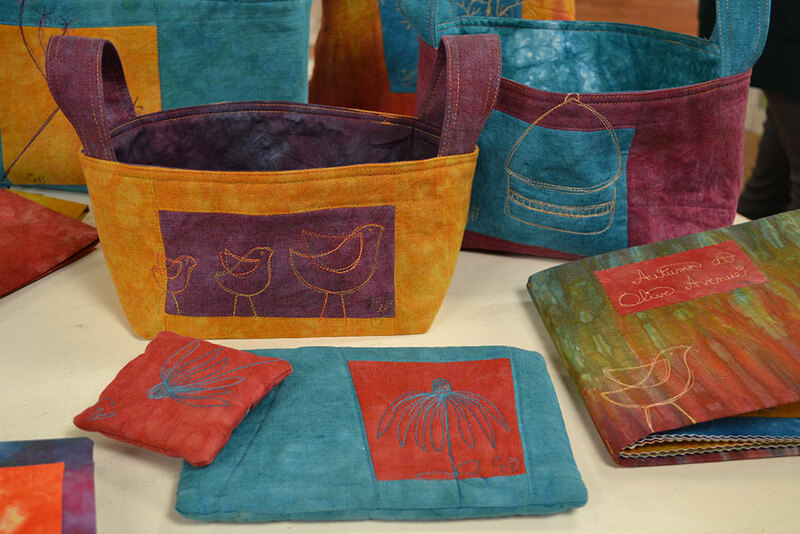 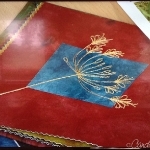 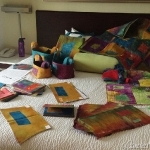 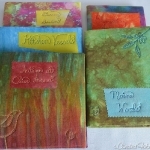 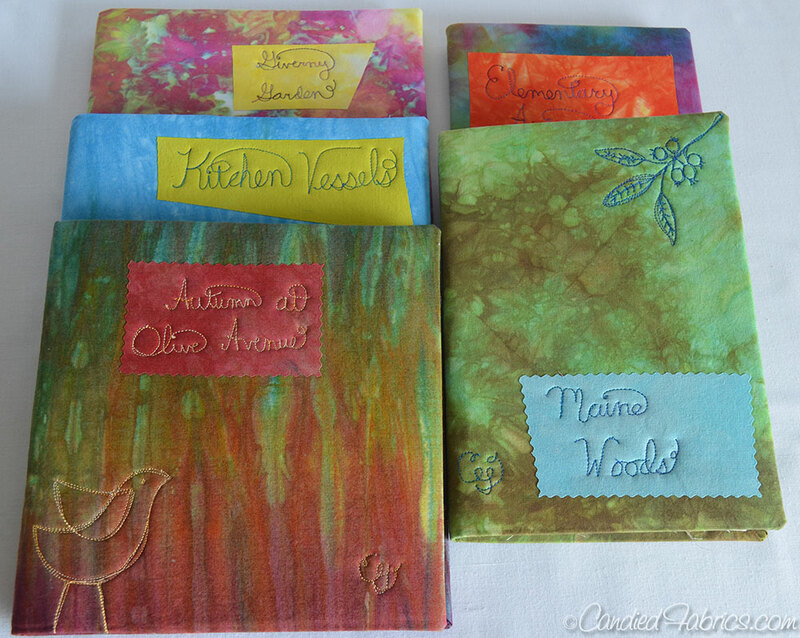 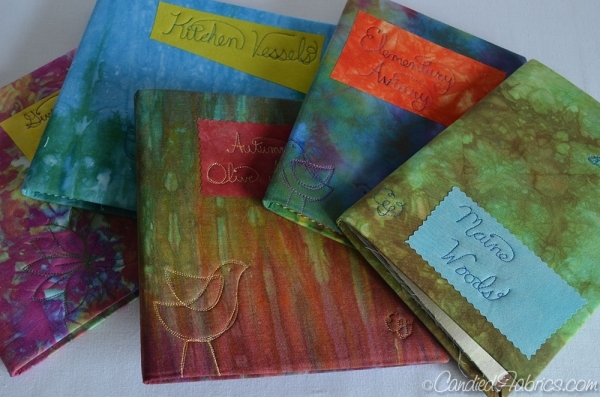 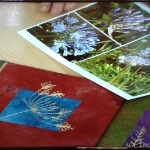 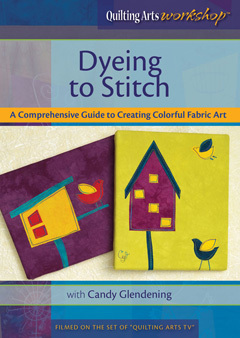 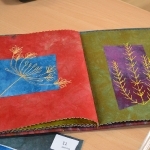 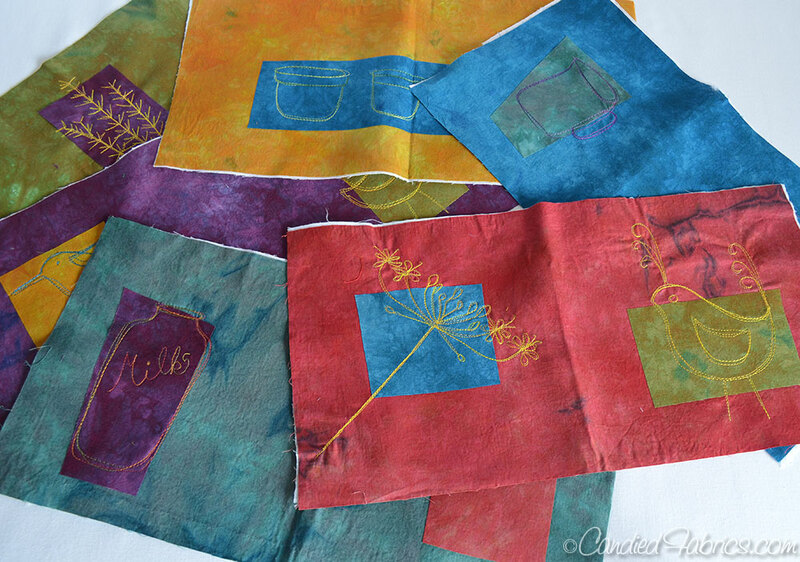 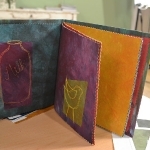 I then walk you through the process of making a fabric sketchbook to demonstrate and practice machine sketching techniques and try out new color palettes. 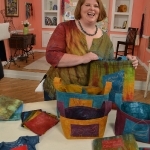 I break down the process for creating my sketched motifs into easy to follow tutorials, and and provide in-depth demonstrations along the way. 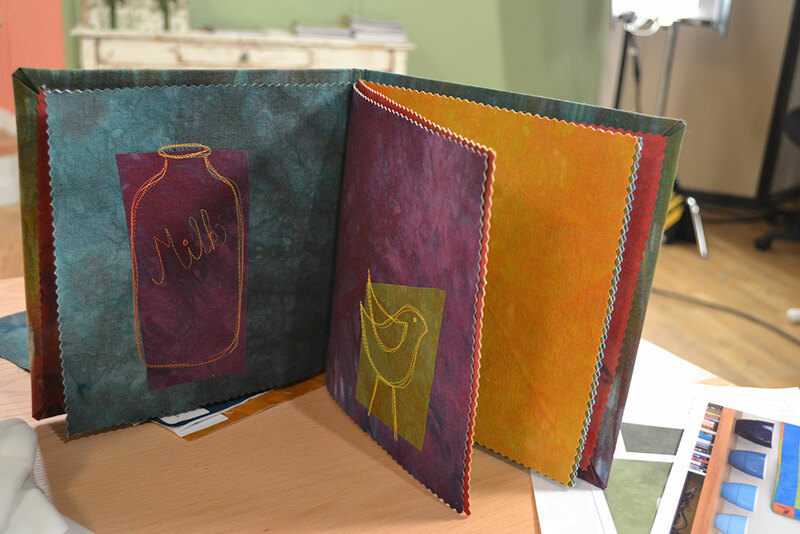 Finally, I show you how to assemble the fabric sketchbook and create a lasting collection of the sample sketches. 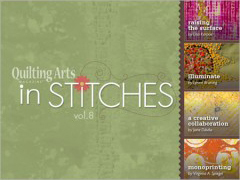 Prepare to expand your view of how the sewing machine can be used as a drawing tool to create sketched motifs on a variety of stitched surfaces. 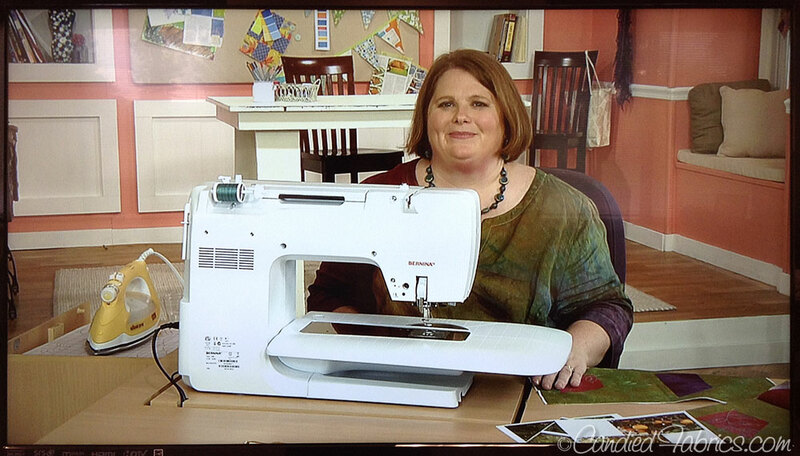 You’ll never look at your machine the same way again!